Cushion cover in Birch fabric very poetic. 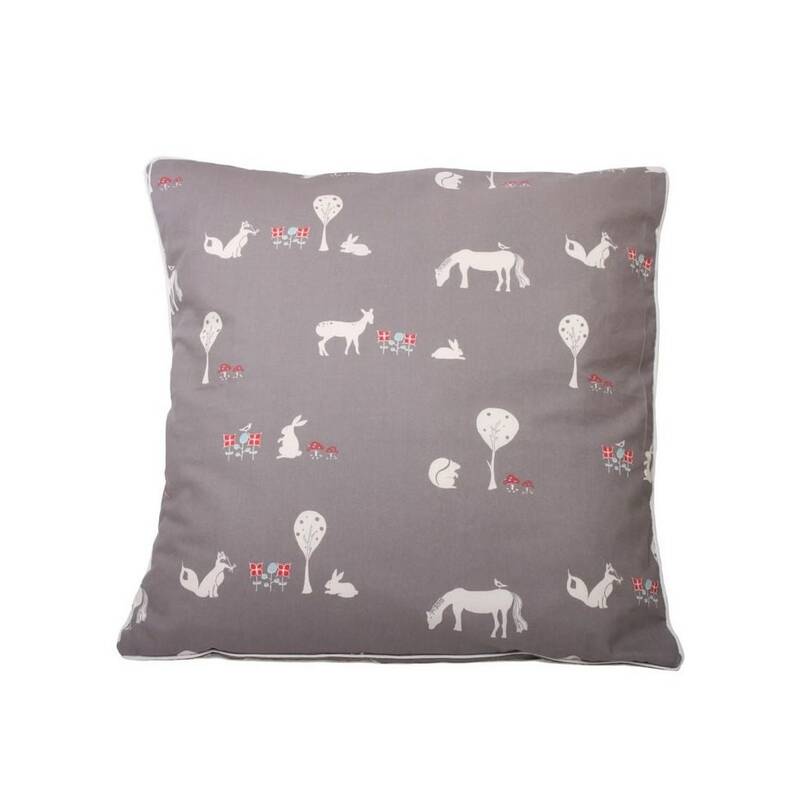 Printed with different patterns of animals on a grey background. The reverse is in 100% matching grey linen. Setting diorama featuring original hand painted and miniature of a DOE and her fawn. 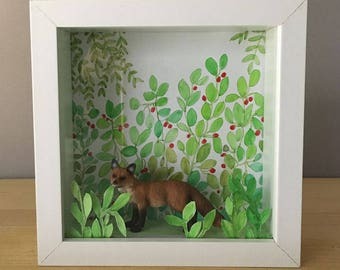 Setting diorama featuring original hand painted and miniature of a Fox.